Most folks have an escrow account with their mortgage lender, whether they know it or not, where part of the monthly payment sits idly by, awaiting insurance and tax bills to come in. Many lenders require this to ensure protection of an asset they have a major financial stake in. What are the pros and cons of the escrow account? Can you opt out, even if you want to? Why might someone want to opt out? Why did I opt out and how did I replace my previous account with a new DIY mortgage escrow account? What are the pros and cons of the escrow account? Option to pay bills with a credit card, earning points on a necessary expense. I am not here to tell you whether you should or should not use escrow, if given the choice, as everyone’s preferences are different. Only you can weigh the pros and cons for yourself and make the decision that’s best for you. Can you opt out, even if you want to? Before you get any further along in your decision making, you must first determine if opting out of escrow is even an option for you. 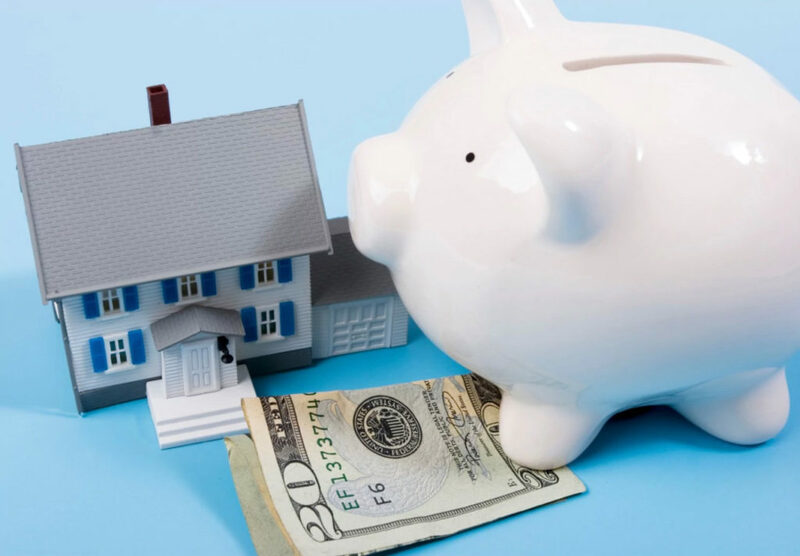 With a new mortgage, you may have this option, but it might cost you in a higher rate, likely outweighing any benefit you may receiving going at it yourself. You may be able to opt out of escrow with your current mortgage, depending on lender, current loan to value ratio and a myriad of other factors. If you have a history of at least one year, with no payment issues and equity of at 20% or more, some lenders might let you off the hook. Some might not. Pick up the phone, or send a message online, and ask them. Why might someone want to opt out? If you’re the type that likes to have absolute control of all of your finances and can ensure you can cover the large insurance and tax bills when they come due, you might want to wrangle your escrow account away from your lender. I don’t mind paying those bills three times a year (once for insurance, twice for property tax) just to see a little extra interest come in each month. Maybe you don’t mind either. Why did I opt out and how did I replace my previous account with a new DIY mortgage escrow account? We refinanced our home in 2016 with Wells Fargo at which time the idea of opting out of escrow was foreign to me. We paid to fund the account during closing, as is the norm for most mortgages. Month after month went by, paying our mortgage and funding our escrow account. My escrow balance was projected to fall beneath the required minimum balance. Note, the balance had not yet fallen below that minimum, and at no time was the balance projected to be negative. Lame. I had two choices, either pay a huge lump sum to bulk the balance back up or pay more every month, in my case, nearly $100 more. Keep in mind, at this point there was no change in my property taxes or home owner’s insurance. The thought of sending more money to a big bank every month wasn’t at the top of my list of things I was excited about doing. I decided to take matters into my own hand and began reading about opting out of escrow altogether. Unfortunately, I didn’t find any definitive information surrounding my options and various people discussed varying experiences, even with the same lender. My best bet was just to talk to Wells Fargo directly. Using the online Message Center, I asked if I could cancel my escrow account. I pointed out my equity was greater than 20% and that I had just made one year of on-time monthly payments. I received a prompt response stating that they would begin processing my cancellation request but first they were required to send me some documentation, giving me ten days to change my mind. If I wanted to proceed, I was to do nothing and they would cancel the account and send me a check for the current balance. I received the documentation, did nothing, and received a check for the balance in mail about two weeks later. Who knew the big banks could be so easy to work with?! Don’t forget to notify your insurance company and property tax assessor so you will begin receiving the bills moving forward. With money in hand, I knew I wanted to set this aside and continue funding an account each month. I didn’t want to think about tax bills or insurance bills eating into our real savings when they came due. I went over to Bankrate.com to check the current savings rates and opened a new account with CIT. They had one of the highest rates available. I deposited my new check from Wells Fargo and updated our paycheck direct deposit to fund this automatically each month. 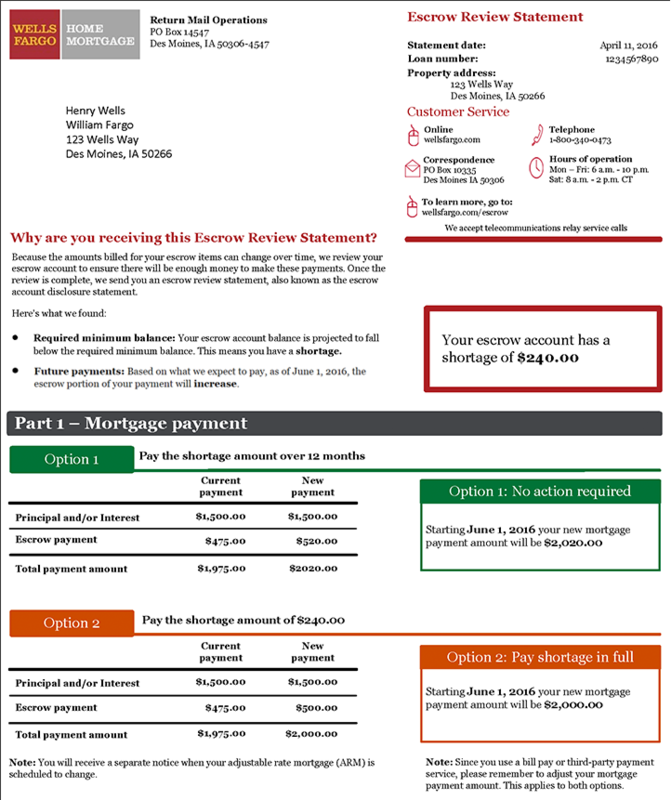 Presto, our new DIY mortgage escrow account! Savings rates aren’t very high, so the amount of interest coming in each month is nominal. However, there’s a great level of satisfaction knowing I’m receiving a small amount every month for doing what I’ve been doing all along anyway. And I didn’t have to send the bank a giant check! Did I mention I also wracked up some Chase Ultimate Rewards points the next time my insurance bill came due? Double bonus! Setting up a DIY mortgage escrow account might not be for everyone. With minimal effort, I’ve taken greater control over my own expenses. We earn a small pittance of interest every month and have added a few extra points to our credit card rewards balance. We still have the security of knowing we have cash on hand when bills arise, but flexibility if we needed to tap into those funds for something else. Do you DIY your escrow account? Nice… Love the idea of getting the cash back points by paying it yourself! We pay ours separately, in a DIY Escrow as you call it, but just by budgeting the funds into the appropriate categories in YNAB. It feels great thinking you’re “beating the system” just a little bit!